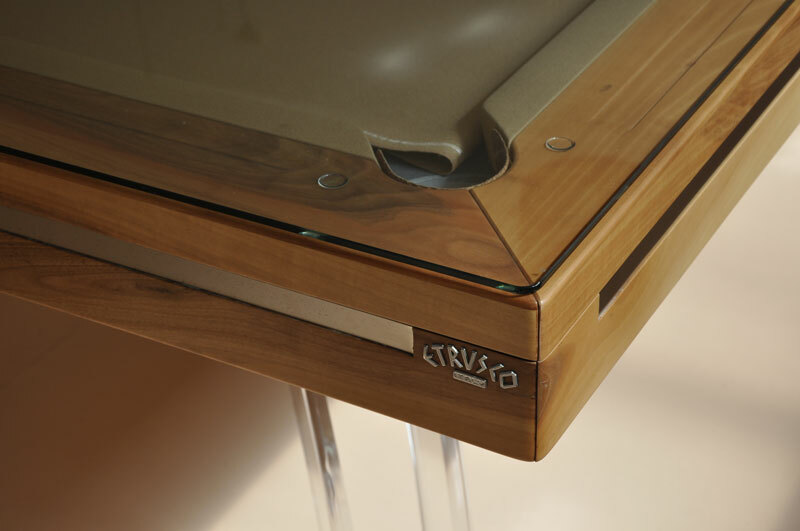 The Etrusco P40 Pool Table is part of our luxury pool tables range and comes with Free Delivery and Installation (worth £500), over £800 of Free Accessories, plus we are the sole authorised UK retailer. There are a large range of different finishes available. Choose from Black, White, Mahogany or Carbon (please see our separate listings for each finish, for more information and more photos). All of these are made in lacquered solid wood. You may also choose from a range of natural wood finishes, made in Cherry, or Tulipwood. We can supply the P40 in a huge choice of finishes, virtually anything is possible.